Festivals and events in Chartres include multitude celebrations, art and culture events, sport activities, for kids and family, for all ages. I notice that the busiest tourist attractions in Chartres is when it's getting closer to summer vacation in July and August. Personally, my favorite moment is in June. Want to know why? 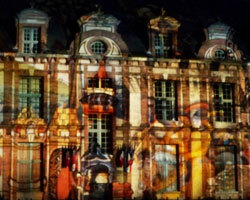 My favorite Chartres festivals occur in June Chartres Light Show, Music festival and Water festival. 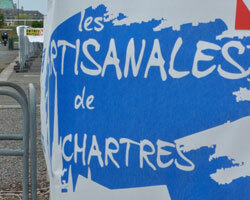 If you love the same things as I do, be sure come in Chartres in June! On last weekend of February - celebrating the coronation of Henry IV (Henri de Navarre) at Chartres cathedral in 16th century. He was the only French king who has been crowned in Chartres. 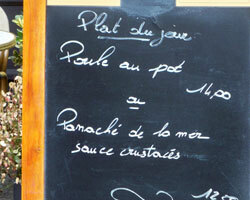 Restaurants serve a specific main course 'Poule au Pot', the King favorite, as one of today's menu. Free chicken broth in the morning at the Saturday market, Place Billard. As the capital of perfumes, Chartres proudly presents the Perfume Festival to invite tourists or people in business world to discover and meet the world of perfumes and cosmetics. Divers exhibitions, children activities and some business related activities etc, you can visit all the activities in May. Chartres Light Show, usually on spring to end of summer. Colorful dynamic and static lights illumine more than 25 historic sites in Chartres. See the magic light sometime with soft music and brief history of the building from 10pm until 1am. This event is closed by a street carnival and music performance known as La Fête de La Lumière, which also signify the end of the summer season. In the mid of June - Music Festival is actually a part of European Music Festival which is held also in all over France and most of European countries. Free street music performance by amateurs or professional musicians. This is my favorite Chartres festival where I can photograph two art events - music of all kinds and scenography of Chartres en Lumière. 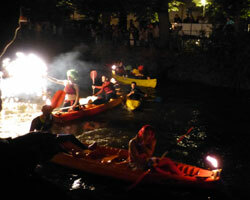 Usually in June - celebrating the Eure river. 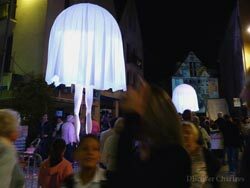 Attractive activities for children and adults along the Eure river on the base ville from 8 pm until almost midnight. Enjoy two Chartres Festivals at the same time - the spectacular Water Festival under the colorful light of Chartres en Lumière. 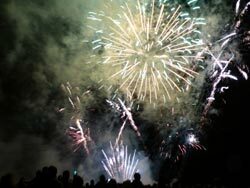 Fête Nationale de 14 Juillet or as known as Bastille Day - is the most awaited moment for children and also adults! The celebration begins with la bal de 14 juillet in the Chartres, a day before the D-day then followed by free music concerts and the spectacular fireworks. From end of June to August start from 9pm - free street musical shows, theater shows and organ concerts in the city center during the period. International Organ Festival - every Sunday on July and August from 4.30pm. The organ music performances from various international artists take place in the cathedral and open to public. Chartres Lights Festival or Fête de La Lumière is the cloture of Chartres en Lumière after few months of illumination on historic building. It is also signify the end of summer - usually on mid of September. Street carnivals, music and lots of entertainments are all free. Too good to miss! 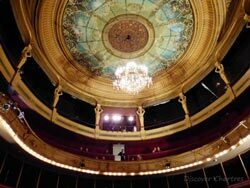 Journées Européennes du Patrimoine or European Heritage Days or, in English speaking countries, also known as Open Door Days, are the days where you can do free visits to museums, monuments, castles and more historic places which are normally close to public. JEP in Chartres are also one of the awaited moment for children and adults which is organized every year on the third weekend of September. 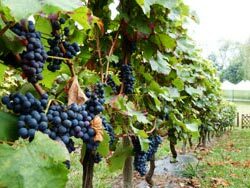 The Grape Harvest Festival is usually held in the end of September. Yep, there is a vineyard in Chartres! The festival lets you discover the traditional and today agriculture, the way of living on the pass time with old costumes, local products and farm animals also attractive entertainments for kids as well as adults. Usually on October - it is the annual national level Chartres arts and crafts fair - Salon National de l'Artisanat, that draws many visitors as well as exhibitors from all over France. 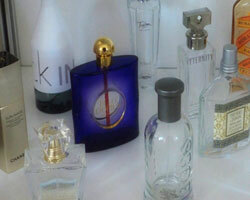 Fashion, gourmet, home decoration and many home made products offered. You can shop till you drop! On the closest to 30 November Sunday - commercial stands cluster along the main street in Chartres center, invite you to visit and shop with a middle age ambiance. 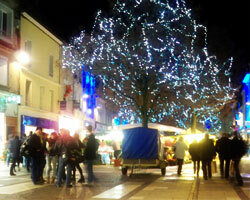 Christmas market and attractions in Chartres center during 2 weeks in December. Have a look if you search for Christmas decorations and some other stuffs. 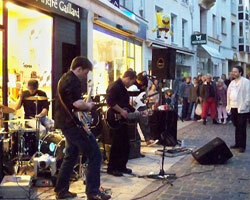 Musical wandering and kids activities make this Chartres event merrier.